Many of Delaware’s brightest students lack the resources to apply to, become accepted by, and succeed in college. Each year, hundreds of students miss out on college due to a lack of guidance, resources and support. Delaware College Scholars helps high-achieving Delaware public school students succeed in competitive four-year colleges and universities, no matter their backgrounds. attend four-year institutions directly after high school. Only 17% of those persist to sophomore year. attend four-year institutions directly after high school. 95% of those persist to sophomore year. We offer a tuition-free 7-year program with a 3-year residential component to help the brightest students navigate the complex path to college and career success. Delaware College Scholars is leading the way on helping students navigate college acceptance and graduation. 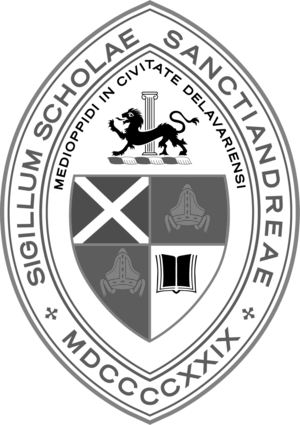 DCS is proud to announce it has selected its newest cohort (class) to join Delaware College Scholars! Like the five cohorts before it, Cohort 6 will begin their seven-year journey of the college selection and persistence process this June. Last month, we had the opportunity to cheer along as former Delaware College Scholars head student advisor Jordan Bonner scored his 1,000th point for Wesleyan University, a prestigious liberal arts college located in Middletown, CT.
Dr. Tony Alleyne and Jake Myers sat down with MeTV Philadelphia/Wilmington's Delaware Way to highlight what DCS is and how our program's scholars are so successful. The Inaugural Cohort: What They're Saying About the Program Now! Two of our very first graduates, Brandon Dawson and Taylor Wayland, share what impact the program has had on them throughout their college experiences.